#PrayForPangasinan became a top trending topic on Twitter for two days after ABS-CBN News reported something about a “mysterious flesh-eating disease” that was “slowly” spreading in the province. It turned out to be a hoax. It was not “flesh-eating.” It was not “mysterious.” It was not “spreading.” It was not well-researched. 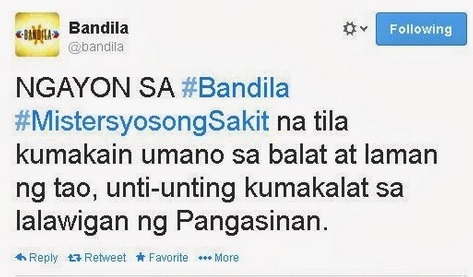 When Bandila aired the controversial report last Monday, the news program even used the hashtag #MisteryosongSakitSaBandila. The “misteryosong sakit” was later identified as sloppy reporting. 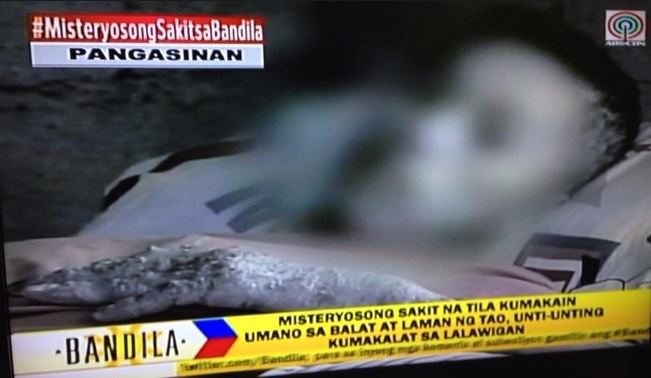 Ending Monday’s report on a “mysterious flesh-eating disease” in Pangasinan, Bandila teased its viewers, “May kinalaman kaya ang misteryosong sakit na ito sa isang prophecy?” I can’t remember the name of the “prophet.” A friend says its sounds like Nimsaj Oremor. When the Health Department confirmed that Bandila’s controversial report on a “mysterious flesh-eating disease” in Pangasinan was a hoax, the news program made just a short report on the same issue the next day. It then quickly segued to an item about Meralco. Kuryente pa rin. 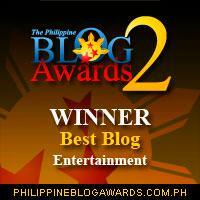 According to an Inquirer report, ABS-CBN News has removed the video of the original Bandila story from its website. But it’s too late! The false report on the flesh-eating disease has gone bacterial. I mean, viral. Suspected pork barrel queen Janet Napoles had a check up the other day. According to doctors, Napoles has a cyst in her uterus. Bandila is verifying rumors Napoles’s illness was predicted by an Indian prophet. Reporters went to Camp Crame Wednesday to cover the medical check up of Janet Napoles. Some of them started to panic when ABS-CBN reporter Jasmine Romero arrived wearing a protective gear, goggles and face mask. 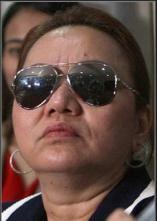 Janet Napoles underwent a medical check up Wednesday. Doctors did not find any life-threatening disease. This was contrary to Napoleses’s lawyer’s claims she probably had ovarian tumor or worse, cancer. It was an exaggeration. The lawyer has denied reports he was a former ABS-CBN News reporter. Disgraced leader Viktor Yanukovych who was ousted following days of street protests in Kiev insists he did not quit his post. Yanukovych has left the presidential palace in the capital and returned to his home in Polk Street. A woman was charged for grabbing her boyfriend’s scrotum and “squeezing as hard as she could” during a heated argument. The woman was identified as Kris Aquino. Two congressmen have filed a bill that seeks to penalize people who refuse to fall in line. When are we going to penalize congressmen who file unnecessary bills? Dapat bang payagang ma-hospital arrest si Janet Lim-Napoles? “When are we going to penalize congressmen who file unnecessary bills?” – havey ang lines na ito sir!! nice po!! :)) keep up the heckling este laughter!! The topic of the report was so exaggerated and that cause panic and alarm to the public. I think they should first confirmed the information before making it in the airwave. international news site picked it up! Someone should look into the lifestyle of those two gentlemen na kumukubra ng salary kahit walang ginagawa kaya me time silang magisip ng mga kagaguhan.